Dogs are almost identical to humans. You share many commonalities with your dog. One of the most notable is that you’re both going to age. When that happens, you’re going to experience some of the same problems. You may begin experiencing joint pains and aches. 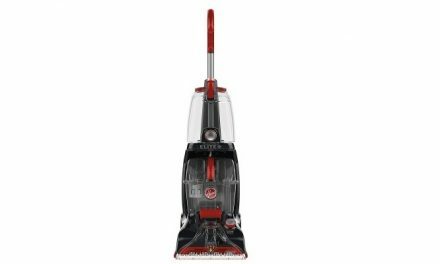 This can decrease your mobility and make it difficult for you to maintain optimum quality of life. Your dog may very well go through the same thing. The good news is that you can take steps to protect your dogs. 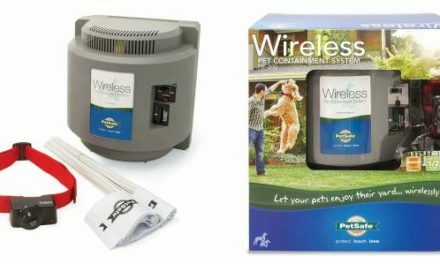 By reading Extend pets reviews, you will discover that some joint care products can help. What is Extend for dogs all about and what benefits will it provide? You’ll find out below. 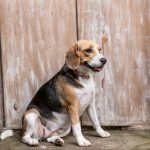 What Is Extend Joint Care For Dogs And How Does It Work? First and foremost, you should learn a little more about the Extend Nutritional Supplement for dogs. This product is nothing more than a supplement. You’ve probably used supplements for your own health at some point. Well, there are dog supplements as well. Extend is designed to provide the pooch with the nutrients needed to keep their joints healthy and active. The product contains glucosamine, MSM and ascorbic acid. This combination will help lubricate the joints while eliminating those aches and pains. 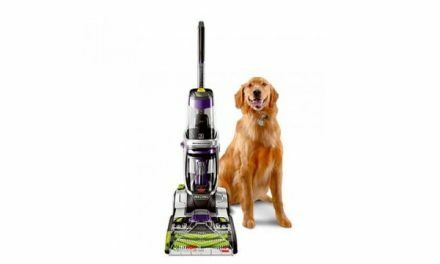 This can help your dog maintain the highest quality of life possible. This product also includes type II chicken collagen. This helps to ensure that your dog will be able to maintain healthy articular cartilage. Giving your dog Extend couldn’t be easier. After all, it is available in powder form. All you have to do is add the powder to your dog’s food and you’ll be good to go. Like humans, dogs sometimes need supplements to keep their joints healthy. As dogs age, the synovial fluid responsible for lubricating their joints decreases, resulting in pain and poor range of motion. Another common aging problem linked to decreased levels of glucosamine is poor mobility. This is where Extend Joint Care comes into play, as it contains a natural compound found in the body known as glucosamine. This very important compound helps improve the health of cartilage, a cushioning tissue located between the joints and bones. Like humans, dogs can develop arthritis when they get older. A previous study, known as GAIT, which stands for Glucosamine/Chondroitin Arthritis Intervention Trial, revealed that when glucosamine is combined with chondroitin sulfate, pain associated with knee osteoarthritis is reduced significantly. Vitamin C plays a major role in healthy bone development. However, a 2008 study revealed that it could also help decrease bone loss in elderly men. According to a researcher at Jean Mayer USDA Human Nutrition Research Center and senior author of the study, vitamin C affects the bone density in men. The study also focused on women, but no effects on the bone density in the female participants were revealed. As an “antioxidant vitamin”, vitamin C has the capability of decreasing oxidative stress, which has shown to negatively affect human cells. This basically means that vitamin C can fight against inflammation that causes bone resorption. While it is unclear whether vitamin C will offer the same effects for dogs, it never hurts to add a supplement to their daily diet. 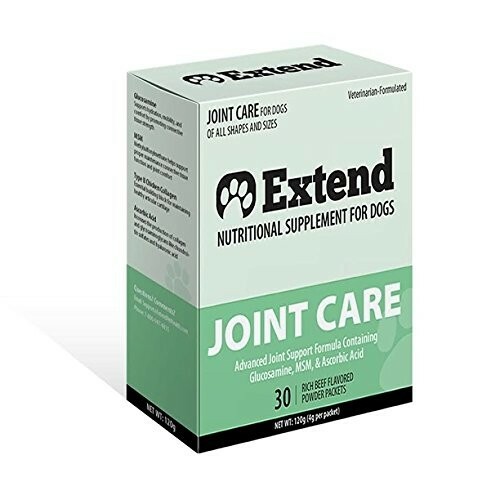 Each serving of Extend Joint Care contains 10 milligrams of vitamin C, which will slow this resorption and prevent further damage to your dog’s bone, cartilage and joints. 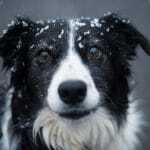 Most aging dogs exhibit a poor range of motion, which is associated with deteriorating joints and other tissue. While this is just a normal part of the aging process, it is possible to slow the progress of the deterioration. The solution is no other than Extend Joint Care. Articular cartilage is absolutely essential to your dog’s mobility. This white cartilage is a smooth tissue, which is found on the ends of the bones in the joints. This type of cartilage is responsible for ensuring that the bones are able to glide over each other smoothly and with as little friction as humanly possible. As your dog begins to age, the articular cartilage will shrink to some degree. Extend can help. The ingredients found in this product are capable of rebuilding articular cartilage. In return, this can help your dog move easier and without any pain. Since Extend contains glucosamine, this supplement possesses powerful anti-inflammatory properties. This is very important for a dog that is suffering from stiff, tight muscles. That stiffness is often caused by inflammation. By using Extend, your dog will be able to reduce the swelling. This can help to increase their mobility and dull their pain to some degree. Whether your four-legged friend is an old dog or a young pup, there is nothing worse than watching him limp around with mobility problems. Maybe he is just old with joint pain or maybe he is suffering from some type of joint disease. Whatever the situation is, dogs are known for running, playing ball, and just having an all-around good time. Well, if you want to get your pet back to that state this is where Extend Joint Care can come in handy. 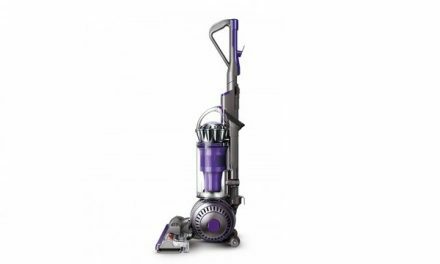 As you have already seen, this product comes along with a lot of benefits, but perhaps the biggest benefit is the improved mobility. Since the product contains natural anti-inflammatory properties and joint lubricant, it can work wonders on the joints. Not only will your dog seem less stiff than he normally is, but there is a good chance that he might be back and play like his old self again. While there are a lot of medications available on the market that can assist with joint pain, many of them come along with negative unwanted side effects. 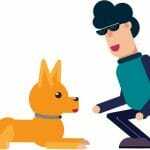 Sure, you want to see your dog move around better with improved mobility, but you don’t want to see in puking or feeling down in the process. When it comes to Extend Joint Care, there has not been any reported negative side effects when administering this supplement. Some pet owners have said that their dogs experienced upset stomachs for the first few days of treatment, but this went away after the dog got used to it. Your dog’s immune system is without a doubt his most valuable tool when it comes to fighting off diseases and infections. In fact, it is also the human’s most valuable tool as well. This is why it is always imperative to ensure that your dog’s immune system is working in top condition and Extend Joint Care can help with this. To better understand the perks of Extend Joint Care, you should learn more about the product’s active ingredients. The Extend Dog Supplement will provide your dog with glucosamine HCI and MSM or Methyl Sulfonyl Methane. The product also contains ascorbic acid. These ingredients will be explored in greater depth below. The body contains glucosamine naturally. It is also available in supplement form. It works similarly for humans and canines. This chemical is responsible for maintaining the health of the cartilage, which is the tissue that cushions the bones at the joints. As your dog gets older, the levels of glucosamine in your dog’s body will drop. It is believed that taking glucosamine supplements can help offset this problem. MSM or methyl sulfonyl methane offers a wealth of benefits. It is great for joint problems, but it is also capable of boosting the immune system, fighting off free radicals and supporting proper intestinal functions. MSM is available in supplement form and you can buy it as a lotion. MSM can help repair joints, ligaments and tendons. It can also help form connective tissue. MSM is a good choice for alleviating inflamed and painful joints. Ascorbic acid is nothing more than Vitamin C. Vitamin C is very important, because it can help maintain connective tissue. If your dog is experiencing mobility issues, there is a good possibility that vitamin C will be able to help to some degree. The Extend Supplement also contains Type II chicken collagen. This is a great addition, because it is a vital building block for guaranteeing that the dog’s articular cartilage is healthy. Extend Joint Care is an amazing product that was specifically designed to ensure the safety of your dog’s joints and help fight aging. While it is not known for producing any unwanted side effects and it was designed for dogs of all sizes, you still need to know how to properly dose your dog. One package will contain thirty tubes within a plastic jar. As far as dosing goes, all you have to do is sprinkle one packet over your dog’s food once a day. Extend Joint Care will work with dry or mixed day food. You can just pour it straight over your dog’s food or you can mix it with water and pour it on your dog’s food. Whatever the situation is, you probably know your dog better than anyone and know what he or she likes best. Keep in mind that larger dogs over eighty pounds have shown better results with one whole tube, while dogs under eight pounds have shown improved results with just half a tube. Results should start to show up within four to six weeks after administering the first treatment. At the end of the day, Extend is 100% proven safe and effective, so whatever dose you give your pet you don’t have to worry about negative side effects. 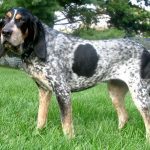 How Can I Tell That My Dog Needs Extend Joint Care? When it comes down to it, many dogs will not need the Extend Dog Supplement. You need to be proactive to determine when your pooch needs to begin taking it. You should start paying very close attention to your dog and his or her behavior. Have you noticed that your dog is a little stiffer than normal? This can be a sign that they’re experiencing stiff joints. You should also consider the dog’s age. When your dog gets older, the levels of glucosamine in his or her body will drop significantly. This can cause many mobility issues. Once your dog becomes a senior, you should definitely think about giving them Extend. It is also a good idea to monitor your dog’s activity level. Have they suddenly become lethargic? There is a chance that this has something to do with their joints. Giving the dog Extend may help. When experiencing joint issues, many dogs will move awkwardly. They will also refuse to jump up and down the stairs. In some cases, you may actually notice swelling or inflammation around the joints. Some dogs will also develop a bad temper. Again, keep an eye on your dog and monitor their activity level. If you notice anything out of the ordinary, you should definitely consult with your vet. If your dog is indeed suffering from joint problems, you should ask your vet about Extend Joint Care for dogs. It could make a huge difference in the long run.